... and where better to start than with the letting agent whose team are landlords themselves. The rental market is still fast moving with demand often outstripping supply. When you decide to rent out a property it is important that you chose the right agent. We believe at William Charles we are the best. The reason we are so confident in that statement is that most of our lettings team are landlords themselves. 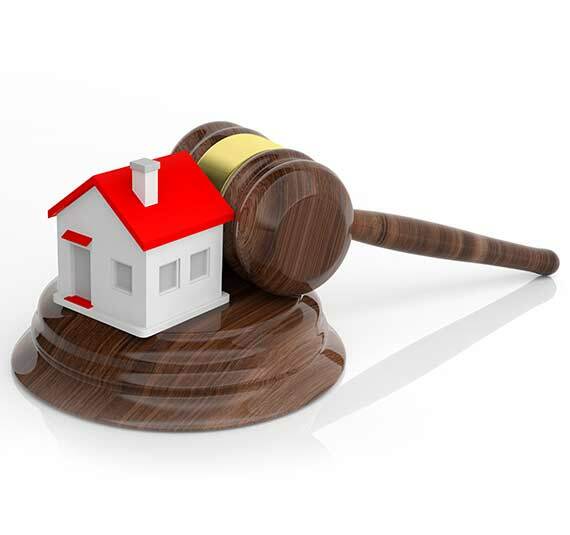 We know what it is like to be a landlord and the exorbitant charges some agents pass on for maintenance or for items to stay compliant in the current market. The Government are making it harder and harder for private landlords with the latest tax changes. At William Charles we are purely focussed towards delivering you the best possible customer service, keeping abreast of the current legislation (currently over 150 pieces) so you don’t have to. We do everything from sourcing property, to finding the best tenant, to managing the tenancy for you and collecting the rent, to guidance on filling out your tax return, to exit strategies when it’s time to look at the bigger picture. We are not a high street letting agent but a one stop shop for landlords who want peace of mind and to keep their asset on track. We look after hundreds of properties day in day out and Letting properties is what we do, and we do it well! As landlords ourselves, we work on the basis we would never put anyone in your property we would not put in one of our own. This ethos has worked well for us over the last 10 years and meant our landlords have only had good quality working professional tenants that are not just credit checked but fully checked by an outside credit company. This extra care and attention in finding the right tenant is just one of the reasons we are different, and our knowledge of legislation, compliance, tax, and property sourcing make us different from local agents offering a letting service in addition to sales. Gravesend Office: Dartford, Belvedere, Erith, Barnehurst, Greenhithe, Ebbsfleet, Swanscombe, Northfleet, Gravesend, Meopham, Higham, Rochester, Cuxton, Gillingham, Rainham and Sittingbourne. Broadstairs office: St Nicholas, Minster, Sarre, Birchington, Westgate, Broadstairs, Ramsgate and surrounding areas. We all live and work in the areas we cover so know and understand the local area. This means we can match tenants to the right properties and have a database of registered working tenants looking for properties in your area. We have over 200 active tenancies with around 75% of those are being fully managed by William Charles. Our portfolio has been built on recommendations and repeat business since we started our lettings department in 2009. Our year-on-year growth continues, and we would love to help you with your investment regardless of what type of service you require. We utilise the best available sources to market your property to maximum effect. This includes superior digital advertising, regular mail-shots and call-outs to suitable tenants on our dedicated mailing list and a colour display in our High Street office. Our properties are advertised on several property portals including Rightmove, Zoopla, On The Market, Prime Location Facebook Marketplace, Twitter, and a dedicated London reach across a variety of portals. Throughout marketing our lettings team keep our clients updated on progress with feedback following viewings and regular suggestions on how to improve your chances of securing a quick let, so if you have a property to let locally then give us a call or pop in for a friendly chat and a coffee. We offer free valuations with no obligation to proceed and to make it even easier you can simply fill in the free valuation request form at the bottom of this page! Don’t just take our word for it. We are proud to announce that our Gravesend branch has won the 2018 Gold award for lettings by The British Property Awards. We hope with the launch of the same service in Broadstairs it will not be long before we win awards for the new office. Why use William Charles to Let? Landlords ourselves, so we never put anyone in your property, we wouldn’t put into our own! Fully trained staff understanding all the latest legislation, making sure you stay compliant. Modern digital technology used for tenancy management, inventories, check ins/outs, property inspections, statements and much more. We accompany all viewings as standard to ensure we do the hard work for you. We are an independently owned, family-run business. We don’t have to answer to shareholders, so our customers are always forefront . Positive reviews – we have hundreds of reviews from the people that matter, our landlords, who love what we do and recommend us to all their friends. Complete portal marketing including Zoopla, Rightmove, OnTheMarket, Facebook, Twitter, Instagram and many more. Viewing feedback provided within 24 hours for all viewings. Pick up the phone today and give your local William Charles a call. This is where we really come into our own and our expertise shines through. Staying compliant as a landlord is a real mine field. Currently there are over 150+ pieces of legislation you now have to be aware of. AAll of our team are experts and fully trained in, every aspect of the lettings process. You can rely on us to get it right. With over 150 + pieces of legislation we now have to be aware of, here are just some of the laws that apply to being a Landlord today. With that being just a small sample of the legislation involved, seeking expert guidance from the outset is vital. Mistakes can be extremely costly for landlords as fines are on the increase as well as emotionally traumatic when things go wrong. Having experts like William Charles with you every step of the way ensures you are always staying on the right side of the law. Letting a property out does not have to be stressful or time-consuming. Our aim is to have our landlords enjoying the returns of their investment. Let us manage your property for you by our in-house experts. If you have a busy life, then let us take the stress out of managing the tenancy and dealing with your tenants and rent collection. We have packages to suit the first time landlords right the way through to landlords with large portfolios. We don’t charge a low fee and then pile on the extras throughout the contract, meaning you never know what you are getting each month. We believe in complete transparency of our fees and are happy to publish our landlords’ packages so you can pick out the one that suits you best. Disputes with tenancy and providing supporting documents. Rent & Legal Service with nil excess. Payment of service charges, ground rent and bills associated with your property. Digital mid- term report with photos and maintenance issues 3 x per annum. Maintenance – dealing with emergency repairs and liaising with contractors. Arranging 2 quotes if needed for works throughout the tenancy. Paying contractors and deducting funds from your account. We are different from other agents. With years of experience under our belts we are fully equipped to handle your tenancy from start to finish. It is rare, but when a tenancy goes wrong it is a true test of a team’s ability. We hold your hand every step of the way and are quick to offer honest advice to resolve the problem for you, the landlord as quickly as possible. We also have a switch service, where we can take over existing properties if you are unhappy with your current agent, making the whole process simple and straight forward for you. We will even give you £250 cashback towards any exit fees you may incur whilst switching.